According to a study by South Korean researchers, based on in vitro and in vivo tests, Zinc oxide nanoparticles have no genotoxic potential. 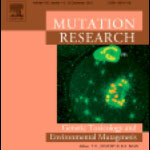 The study was published in the scientific journal Mutation Research/Genetic Toxicology and Environmental Mutagenesis. Nanotechnology applied industry, particularly using zinc oxide (ZnO), has rapidly growing in diverse products including cosmetics, food, rubber, paints and plastics for the last decade. However, in spite of increasing in the population exposed to ZnO, the potential of genotoxicity induced by ZnO has not been clarified yet. To date, there are numerous studies associated with genotoxicity of ZnO, however, the result is still controversial issue. The biological effect of nanoparticles can be altered by its physicochemical properties and evaluation methods. Thus chemicals with clearly distinguishable physico-chemical properties and standardized methods are necessarily required for assessing genotoxicity of nanoparticles. In this study, we evaluated genotoxicity of ZnO using four kinds of ZnO including 20 nm (+) charge, 20 nm (-) charge, 70 nm (+) charge, 70 nm (-) charge. Four different endpoint genotoxicity tests, bacterial mutation assay, in vitro chromosomal aberration test, in vivo comet assay and in vivo micronulceus test, were conducted following Organization for Economic Cooperation and Development (OECD) test guideline with Good Laboratory Practice (GLP) application. Our results showed that no statistically significant differences in bacterial mutation assay, in vitro chromosomal aberration test, in vivo comet assay and in vivo micronucleus test after four kinds of ZnO nanoparticles exposure when compared with the solvent control. The present results suggest that surface-modified ZnO nanoparticles may not induce genotoxicity in both in vitro and in vivo systems under OECD guideline for the testing of chemicals. Furthermore, these results generated in accordance with OECD test guidelines and GLP application will be accepted as reliable information regarding ZnO induced genotoxicity. • The study Lack of genotoxic potential of ZnO nanoparticles in in vitro and in vivo tests is available for $ 39.95 on Science Direct website. Feb. 13, 2019 Do microplastics harm humans? Oct. 23, 2018 Drink coffee to prevent rosacea?